It’s time for one of the greatest showdowns of all time! The world’s greatest detective (Sherlock Holmes, of course) vs. the world’s greatest detective (Batman, naturally)! In honor of the upcoming release of Sherlock Holmes 2, I’m going to show how that film’s predecessor is virtually the same as another reimagining of a famous fictional character: Batman Begins. So pull out your magnifying glass and let’s put together the clues to the mystery of what Sherlock Holmes has in common with Batman Begins. The villain is defeated at the beginning. The villain’s goal is to bring order and justice to the world. A mystic leader seems to return from the dead. Using magic tricks, the villain fools people into believing he has special powers. The police are powerless to stop the villain. There’s a fairly pointless love interest thrown into the mix to create drama. At one point, the police turn on the hero. The villain plans to use poisonous gas to kill his enemies. The hero doesn’t kill the villain, but he also doesn’t save him when he has the chance. The hero’s true nemesis drops his calling card at the very end. Both films begin with a taste of things to come by showing the hero briefly fight and defeat the main villain. Sherlock Holmes doesn’t waste any time throwing us into the middle of the action. Holmes, a British detective, hurries to Lord Blackwood’s lair in London to stop him from murdering a young woman. After a terrific action sequence, Holmes and his trusty sidekick Dr. John Watson save the woman, bring the magician to justice, and scatter his followers. 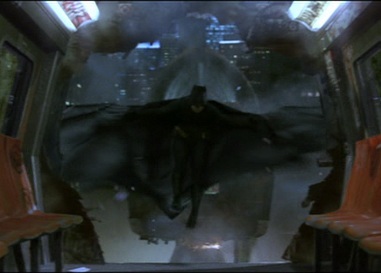 Batman Begins also wastes no time throwing us into a complex situation. Billionaire Bruce Wayne has been drifting across Asia for several years. He winds up in a secluded mansion in the Himalayas (I think) where he comes across Ra’s Al Ghul, a mystical man who seems like a hero at first but turns out to be a villain. Ra’s al Ghul tries to get Wayne to kill a man, but Wayne resists and saves the man’s life while fighting Ra’s al Ghul and his army of ninjas. In the end, Wayne emerges triumphant and he believes that Ra’s al Ghul is dead and his forces scattered. The villains’ motives are laudable in a way, though their methods are evil. Lord Blackwood wants to return Great Britain to its rightful place as the undisputed leader of the western world by killing most members of the government and creating order out of chaos. He believes this will be better for the world in the long run. 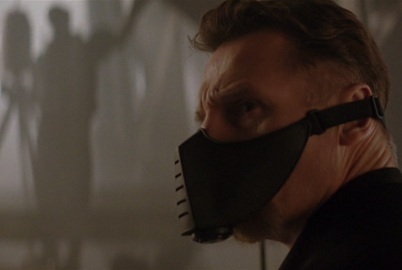 Ra’s al Ghul claims that his League of Shadows has been policing civilizations for millennia. He wants to destroy Gotham City because it has become so corrupt it’s beyond saving. He simply wants to speed up Gotham’s destruction and return things to their proper state. The villain pulls off a seemingly miraculous return from death. 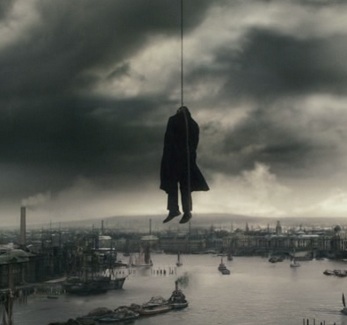 In Sherlock Holmes, Lord Blackwood is sentenced to be hanged. But before that happens, he takes a pill to put himself into a catatonic state and attaches a hook to his back so he won’t be killed by the rope. He fools everyone into thinking he’s dead, so his return will make people start to believe in his dark magic. In Batman Begins, Ra’s al Ghul uses a simpler tactic. He pretends to be a regular member of his clan and allows one of his followers to feign being their leader. Because of this, Wayne is shocked to learn that Ra’s al Ghul is alive later in the film after seeing him die at the start. The villains use magic tricks to make others believe they are more powerful than they really are. To create terror and add to his mystique, Lord Blackwood kills high-ranking government officials in ways that appear to be supernatural. However, on close inspection, Holmes deduces they all happened through natural chemical reactions. Ra’s al Ghul trains Wayne to create smokescreens and also to use his surroundings to make his enemies believe they’re facing more than just a man. He can strike at any moment and disappear without a trace. It seems like I’ve been focusing a lot on the villains, so now I’ll talk about the heroes. There’s a scene toward the beginning of each of them fighting someone in the mud. Desperate for money, Holmes brawls with a man who looks much tougher than him. Despite his physical disadvantages, Holmes uses his mind to overcome his opponent. While in prison, Wayne is bullied by several men who are even bigger than him. They threaten to kill him, but he uses blunt force to fight them all off. 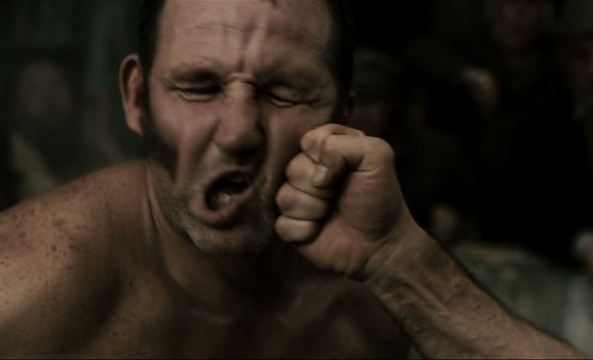 He hasn’t received the training necessary to develop a technique, and it’s intriguing to see how his fighting style changes over the course of the film. He becomes much quicker and focused in his movements. The police are always several steps behind the heroes and villains. London’s finest are either bribed or intimidated into silence. Lord Blackwood and his associates are free to commit murders and the police don’t know how to stop them. They have to rely on Holmes and Watson for advice on what’s going on. Gotham City is even worse. Its police force is completely corrupt. The officers routinely take bribes from mob bosses and just stand there and watch while drug deals are made. Lieutenant Jim Gordon is the only exception, but he’s helpless to stop most crimes without Batman. I can understand why the filmmakers included a love interest for the hero. They wanted to add a little romance to mostly male-focused tales. But the women have little to do with the story. Holmes has a history with a woman named Irene Adler. They banter quite a bit, and there’s a nice chemistry between them, but it never really goes anywhere. There’s a scene of her in peril where Holmes and Watson have to save her from being crushed to death. At the end, we discover she’s working for another villain who makes a brief appearance that I’ll talk about later. Rachel Dawes is Wayne’s childhood friend. She knew him before his parents were killed, so she’s able to see the contrast of his innocence to his later bitterness and resolve to fight injustice. It’s nice that we get to see more of how their relationship progressed over the years, unlike in Sherlock Holmes. Dawes works with the District Attorney, and she’s trying to clean up the town. When Batman arrives, she finally starts to make some headway into fighting corruption. At one point, she’s poisoned and Batman has to drive her to the Batcave to save her from dying. At the end, she learns Batman’s secret identity and decides she can’t be with Wayne for now. 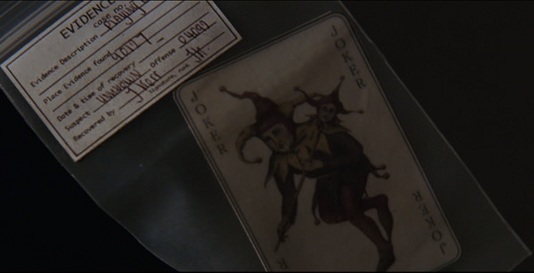 She plays a pivotal role in the Joker’s plan in the sequel, though that’s outside the parameters of this article. What a surprise. The corrupt, inept police force ends up fighting the hero. 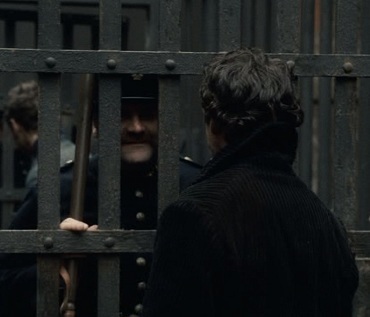 Holmes finds himself on the run from the law after the chief of police, who is one of Lord Blackwood’s followers, puts a warrant out for his arrest. Luckily, Holmes outsmarts the police and escapes on multiple occasions. He never has to actually fight any officers, and he even receives help from one of them despite the warrant. Batman is a vigilante, so he’s technically always going to be at odds with the police. He has several brushes with the law, including one point where he’s inside a building that’s surrounded by police and a SWAT team. Instead of taking the time to fight his way through them, Batman simply creates a diversion by calling thousands of bats to him with an electronic device. He never actually fights the police in this film, though he does destroy some of their cars and intimidate one dirty officer into spilling information on his illegal activities. And Lt. Gordon is, of course, an essential ally in Batman’s crusade. The villains plan to get rid of everyone who stands in their way by using a toxic gas. Lord Blackwood is going to poison all the members of Parliament who are not part of his secret organization. Ra’s al Ghul’s plan is a little different. He put a chemical into Gotham City’s water supply that will turn into a gas when a microwave emitter comes close to it. The gas isn’t lethal, but it causes people to hallucinate and see their worst fears come to life all around them. They’ll wind up killing each other. The heroes make it just in time to stop the gas from killing their intended victims. Holmes and Adler find the device that’s about to release the gas into Parliament after it’s been activated. They don’t have time to turn it off, so Adler removes the canister holding the deadly chemical from the machine. Problem solved. Batman has a tougher time. The microwave emitter is inside a train that’s hurtling through the city, evaporating the chemical into the air as it goes. Batman can’t get past Ra’s al Ghul to shut off the machine or stop the train, so he does the next best thing: ask Gordon to use the Batmobile to blow up the train bridge before it can hit the city’s main waterline. Interestingly, the villains die in the end the same way they would have at the start. Knowing his plan has been foiled, Lord Blackwood follows Holmes onto a bridge where they have a showdown. Holmes outsmarts him and is about to turn him into the police when Lord Blackwood falls off the bridge and hangs himself for real this time. 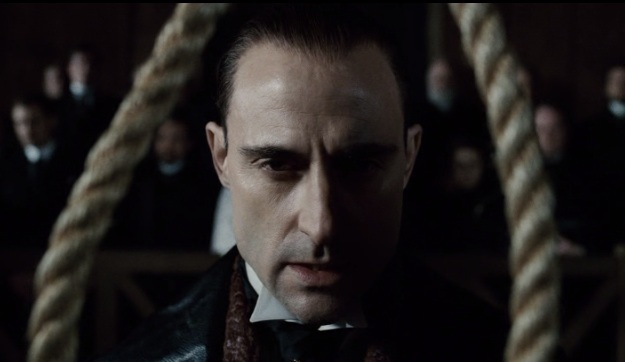 Holmes could have tried to prevent Blackwood’s death, but he didn’t even make a move to do so. Batman overpowers Ra’s al Ghul, but instead of killing him and breaking his rule forbidding murder, Batman simply says he’s not going to save him. 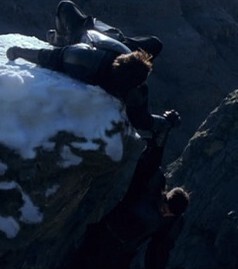 Then he flies off and leaves Ra’s al Ghul to fall to a fiery death. Ra’s al Ghul would have suffered both of those deaths (fire and falling) earlier if Wayne hadn’t intervened twice to save his life. Every yin has its yang, and most iconic superheroes have equally iconic supervillains to go with them. Professor Moriarty is Sherlock Holmes’ greatest adversary. It was brave of the filmmakers to go with a much less well-known villain for their reimagining of the character. They focused on telling an intriguing story, so they didn’t have to rely on the gimmick of a famous villain to make it work. However, they made the smart move to identify Moriarty as the villain for the sequel right at the end of the first movie. Basically, everything I said above applies equally to Batman Begins if you replace Sherlock Holmes with Batman and Professor Moriarty with the Joker. It’s a great movie, offering three well-handled villains (Ra’s al Ghul, Scarecrow and Carmine Falcone), a well-paced storyline, solid performances and inventive action sequences. The cherry on top is the Joker card that shows up at the end. We just know that things are only going to get better in the sequel. And they do. Sherlock Holmes and Batman Begins are two films that pleasantly surprised me. I didn’t know if I would like either other of them when I first saw them, but by the time they ended I found myself wanting more. They’re both a lot of fun, and they require more than one viewing to fully appreciate them. I didn’t think Robert Downey, Jr. could match his performance as Tony Stark in Iron Man, but he managed to present an equally complex character in Sherlock Holmes. His Holmes is equal parts distracted and focused. I could never tell what he was thinking or what he would do next. Batman Begins is expertly crafted, and it delves into Bruce Wayne’s personal struggle to become Batman in a much more satisfying way than any of the Tim Burton or Joel Schumacher films did. Christopher Nolan took an incredible chance in setting his Batman film in the real world, but he paved the way for more realistic and better comic book adaptations in the last few years. I’m excited to see the sequels to both of these films. All photos from Sherlock Holmes and Batman Begins are the copyright of Warner Bros. Pictures. This entry was posted in Movie Matchups and tagged action movies, batman, batman begins, bruce wayne, christopher nolan, comic books, detective, drama, films, gotham city, heroes, iron man, joker, magic, movie review, movies, police, relationships, robert downey jr, romance, sherlock holmes, tim burton. Bookmark the permalink. Thank you! I grew up loving pretty much all the Batman comics and movies. I definitely need to read the Sherlock Holmes books and see which I truly like better. I’m so glad you enjoyed the article. Have a happy New Year! If you haven’t seen the new Sherlock from the BBC, you should. BTW, incase you were wondering, this is the same blogger as on confessionsofacatwoman….dual blogging personality 🙂 Just in case I ever write anything professional! Thank you for the suggestion. I haven’t heard of that BBC series, but I’ll see if I can find it somewhere (I don’t watch TV much anymore). By the way, thanks for revealing your true identity! That’s way cool that you maintain two blogs. Great job! I do a lot of blogging at work, but this is the only one I write for in my spare time.